It takes the commitment and confusion out of learning something new by giving you access to the most appropriate equipment and the best resources to teach you how to use it. Whether you’re a complete beginner or looking to expand on an existing skill, Fling delivers a kit to your front door with everything you need to get started. It pairs this equipment with online video lessons and a community of learners to help you along your way. 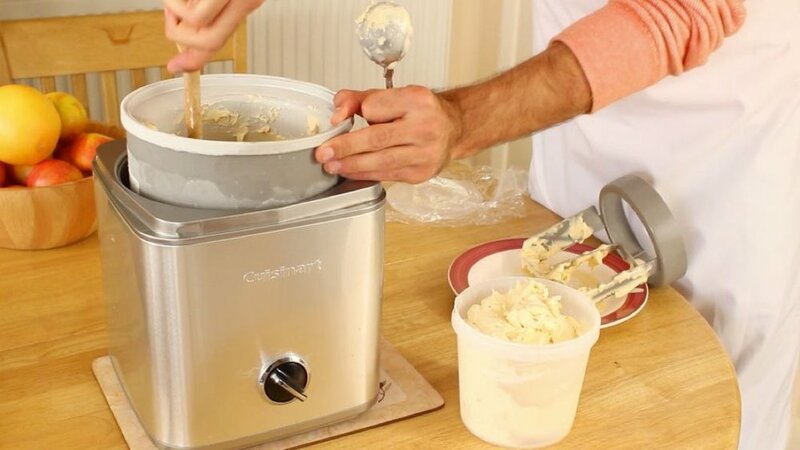 If I want to learn to make ice cream my first step is spending $100+ on an ice cream making machine. This problem was the inspiration for this project and it’s a not something that is unique only to ice cream making. Whether you want to learn manual photography or how to sew your own clothes you're most likely going to need a specialized piece of equipment. Because of the high upfront cost of many hobbies there’s no opportunity to see if it’s right for you without becoming financially invested. When you buy equipment and it sits in your cabinet unused. It along with your precious cabinet space, is going to waste. Should you buy a quality product that will last, or get a cheap model and upgrade if you end up using it frequently? The little accessories can be as problematic as the main piece of equipment. In talking to a hobby photographer it became clear that having the camera only gets you so far. You quickly need bags, tripods, flashes, lens filters. These things add up. The problem isn’t all about getting equipment, its about getting started. Talking with an online education expert from lynda.com helped me realize the value of my service was in making it easy for people to get started. Getting started is about education as much as equipment. There is often a disconnect between your equipment and what’s referenced in the educational information you’re using. This came from a story about a frustrating experience learning Raspberry Pi. Differing hardware versions caused confusion and the need for multiple tutorials. The service blueprint is a working document that evolved throughout the design process. What started as a series of post-its arranged on the wall in front of my desk became a step by step plan for the user’s experience with the service. It charts their journey from when they first hear about Fling to when they complete their first set of lessons and decide whether to purchase the equipment they rented. Along with the user’s journey the service blueprint plans what needs to happen behind the scenes to make the experience possible. An interface focused on the experience: why can't we rent products the way we rent rooms? 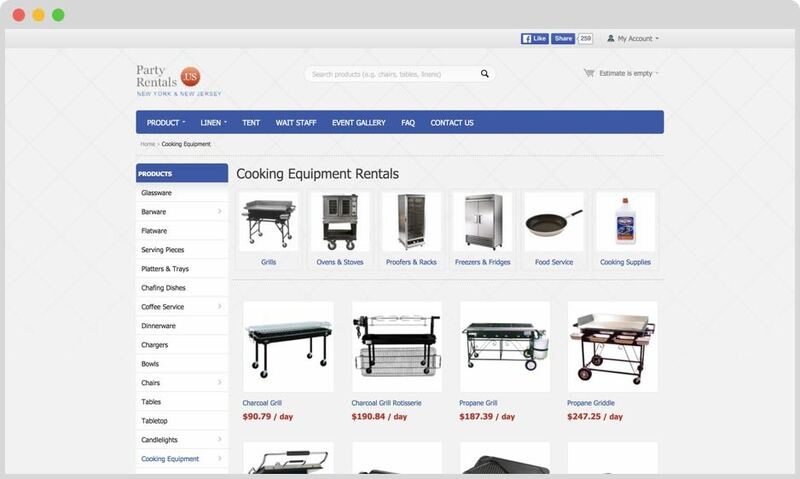 I was interested in what kind of online options are out there to rent products like kitchen equipment. What I found were websites with endless warehouse style lists mostly geared toward catering and event planning. This sort of design is intimidating and in most cases a deal breaker for someone who just wants to make ice cream. In comparison, when services like airbnb are renting you a room their site puts the focus less on the room and more on the experience of being in a new city. They show images of people in cafes and sun soaked cobblestone streets that remind you that the apartment you’re renting is just a means to an end. They understand they are renting an experience and their site’s design reflects that. When designing the Fling web interface I took inspiration from analogous services such as Rent the Runway, Blue Apron, iFixit, and Hello.Processing. With these in mind I sketched wireframes for different elements of the interface in rearrangeable blocks. These allowed me to quickly try different page designs and flows by swapping out and reordering the interface blocks. This is the first point of contact for the user. It’s designed to inspire them and inform them about the service and what sort of things it will enable them to create. The kit pages are where the user explores the different projects that make up the learning process for each kit. This is also where they can reserve their kit. Now that the initial vision for the service is designed, I'd like to step back and create a paired down, minimum viable product, version created specifically for testing the experience. I would design the physical touchpoint of the kit, create a sample lesson video, as well as a single-page website that could walk the user through the process. This page could also function as a survey for the users that I could use in addition to personal interviews.